in GBP to DKK, GBP to NOK. The Pound Sterling to Norwegian Krone (GBP/NOK) exchange rate gave up the majority of its gains as Tuesday’s European session continued, while the Pound Sterling to Danish Krone (GBP/DKK) exchange rate fell further. The Pound Sterling exchange rate is likely to trend lower ahead of the Bank of England’s (BoE) interest rate decision out on Thursday. However, the central bank appears to be looking at other avenues to help it make its decisions such as social media which could offer more instant economic information. Earlier… The Pound Sterling to Danish Krone (GBP/DKK) exchange rate recorded losses at the beginning of Tuesday’s European session, while the Pound Sterling to Norwegian Krone (GBP/NOK) currency pair experienced positive market movement. The Pound Sterling gained by +0.88% against the Norwegian Krone early on Tuesday morning despite weak UK figures, as oil woes weighed on the Norwegian currency. Oil prices have dropped dramatically in recent months and are currently below $55 Dollars a barrel. As Norway is Western Europe’s largest crude oil producer, fears over the economic recovery of the nation are heightening. Some speculate that the central bank may need to slash rates yet again after an impulsive rate cut in December. Oil and gas make up a whopping 22% of Norway’s total Gross Domestic Product (GDP) and recent devaluation in oil has seen the Norwegian Krone depreciate by 20% against the US Dollar (NOK/USD) and 8% versus the Euro (NOK/EUR). In addition, the Norwegian NIMA Manufacturing Purchasing Managers Index fell into contraction on Tuesday, coming in at only 49.8 in December from November’s 51.4. Meanwhile, the Danish Krone advanced against the Pound Sterling (DKK/GBP) when the Unemployment Rate shrank to 3.9% in November from 4.0%; defying forecasts of a rise to 4.1%. On the other hand, Business Confidence declined further rather than improving in line with predictions. Sentiment reached lows of -19 in December after November’s -15 in comparison to the -13.6 forecasts. The Pound Sterling exchange rate suffered losses against a basket of other majors when it emerged that Markit’s UK Services PMI fell further than forecast. The Pound Sterling exchange rate could experience fluctuations this week with the release of highly influential Bank of England (BoE) reports which will detail the protocol used at the onset of the 2008 global financial crisis. In addition the BoE will announce its latest interest rate decision. Thursday will see the release of Norway’s Industrial Production, Loan Growth and Manufacturing Production figures, all of which could impact the GBP/NOK exchange rate. The Danish Balance of Trade and Current Account figures are scheduled for release on Friday. In addition, Norway’s Inflation Rate, Producer Price Index (PPI) and Retail Sales stats are also out. The Pound Sterling to Norwegian Krone (GBP/NOK) exchange rate has been trending in the region of 11.7810 with market movement of +1.14%. 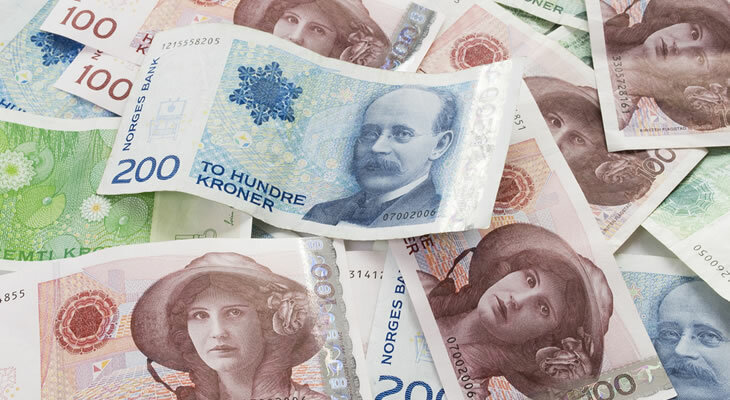 The Pound Sterling to Danish Krone (GBP/DKK) exchange rate is reaching 9.4770 with a loss of -0.11%.